Amidst a flurry of excitement, the much-anticipated Golden Pin Design Award ceremony officially took place last night, announcing this year’s winners — 34 Golden Pin Design Award 2018 Best Design, 2 Special Annual Award for Green Design, 1 Special Annual Award for Social Design, and 3 Golden Pin Concept Design Award 2018 Best Design, all of which certainly live up to their honorary distinctions. Read on to learn about seven of the winning designs and concepts, dissected in more detail — The Typesetting Master’s Table, comicam T1 kids camera, Plume Dip Pen X Inkwell, WOWMOON, Clouded Leopard, Hanyi Alzheimer Font, and RobloX — diving into each designer’s background and the creative journeys behind their winning work. As modern society becomes more digitalized, many designers are pushing in the opposite direction with products that encourage “anti-digitalization” — rekindling the warmth of the past and re-familiarizing people with their cultural roots. Born into a family that ran a printing shop, Peng-Hsiang Kao, the founder of the Muwu Design Studio and Tzu-Tien Letterpress Experimentation Lab, grew up surrounded by printing presses and has always been naturally drawn towards letterpress printing. As fate would have it, the Ri Xing Type Foundry contacted him in 2014 for help with packaging design, reigniting his passion for letterpress printing. Thereafter, he would use all his spare time to research and promote the initial phase of the “Tzu-Tien Dynamic Printing Box”. Unlike traditional letterpress printing, which uses metal lead types to print each individual character, he developed a revolutionary design that used paper lead types, a much lighter and easier-to-use alternative. Kao organized workshops to promote the Tzu-Tien Manual Printing Box and invited printing master Hsien-Kuo Wu to demonstrate live. When Kao watched Master Wu use the printing press, he was both inspired by the printing master’s unique technique, and also saddened by the possibility that the art of printing may be lost to future generations. In an attempt to reverse this possibility, Kao funneled his energies into developing the book The Typesetting Master’s Table. After interviewing four different printing masters, he spent two years writing and compiling images, and finally published The Typesetting Master’s Table. 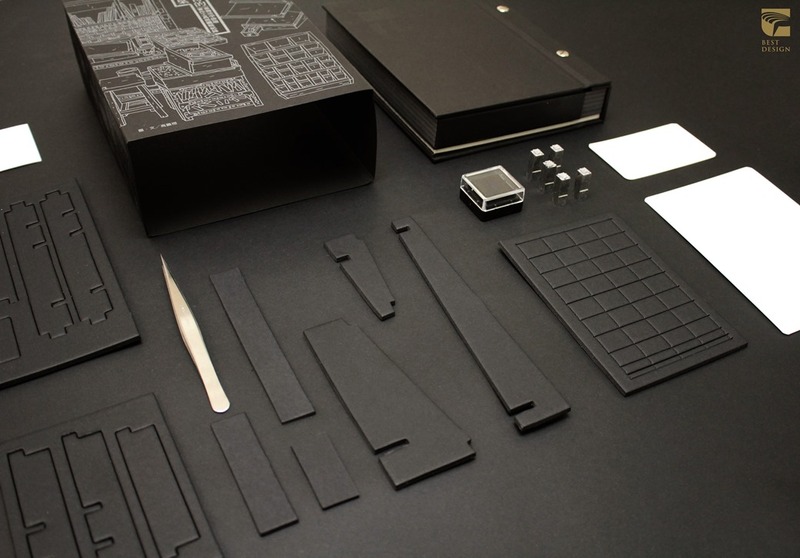 The book includes an assembly kit, which turns the book itself into a mini typesetting table and an instructive guidebook, An Illustration of Traditional Typesetting Methods. Thereafter, he won several different awards — including bronze in the 2017 Golden Butterfly Award, silver in the 2018 Taipei Design Award, and silver in the 2018 DFA Design for Asia award, among others — and it came as little surprise that his entry was selected to win Best Design at this year’s Golden Pin Design Award. 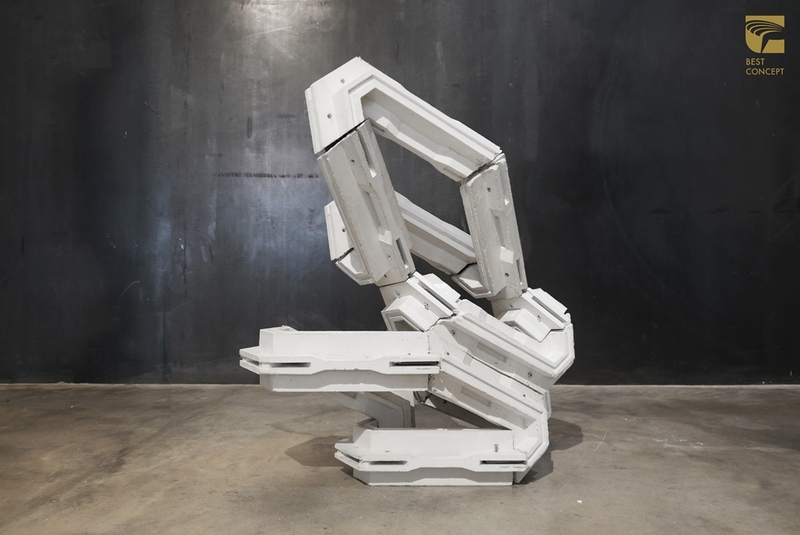 Kao believes that even though manual printing presses have declined in use with the popularization of electronic presses since the 1980s, nothing can replace the warmth, aesthetics, and cultural value of the original printing press. Unfortunately, Taiwan takes a rather apathetic position in regards to revitalizing the manual printing press, especially when compared to Japan, Korea, and China. Out of concern that our invaluable cultural resources are disappearing, he published the book The Typesetting Master’s Table in an attempt to spark the interest of younger generations and bring this issue to the government’s attention. 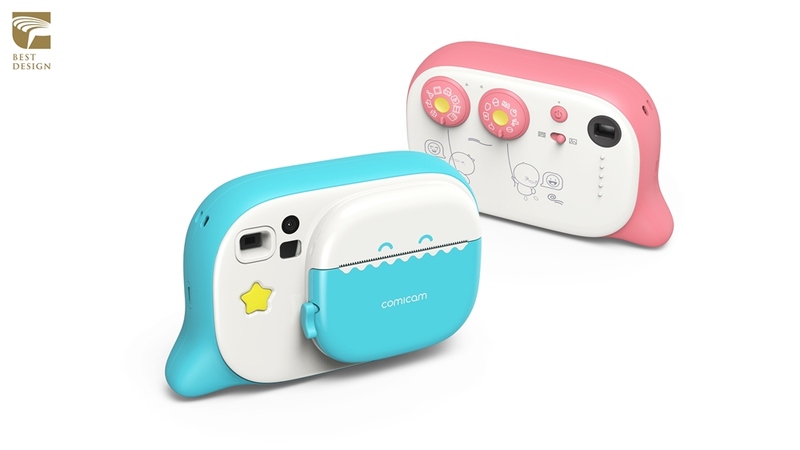 Another project pushing against digitalization is the comicam T1 kid’s camera. It’s an instant camera, specifically designed for children aged five and over, which prints pictures immediately after pressing the shutter. Guokun Liu, the Creative Director at Shenzhen XIVO Design Co.,Ltd., led the project. He says the project was commissioned by Hangzhou Rulei Technology Co.,Ltd., as Rulei was looking to develop and promote a product based on the popular animation series Chicky Rainbow. After determining key elements of the animation, Liu and his team created a camera in the shape of a dial-up box that reflected the animated chickens’ daily life. Using advanced heat-sensitive technology, the camera immediately prints photos after they are taken. While Liu admits that heat-sensitive technology is nothing new, his team’s design uses BPA-free heat-sensitive paper, which makes it much more suitable for children’s use. Furthermore, pictures can be stored for 20 years without fading and each roll of film is reasonably priced at just 7 RMB (just over US $1) with capacity to take around 100 pictures. In the wake of the growing popularity of digital cameras, disposable plastic cameras have become all but obsolete. Despite this, Liu created a product completely counter to the global trend towards digitalization. He pointed out that many children start playing with consumer electronics very young, which can seriously impact eyesight with extended use. His product offers kids a chance to break away from the digital space, make memories, and even foster creativity — as children can draw on printed photos and tape them into their diaries. After this product became available in April, it received amazing public response. Adults also appreciate the non-digital instant camera, grateful for its existence. Dipping a plume pen into an inkwell evokes a tangible feeling of nostalgia. Similar to the concepts of the previous two works, the “Plume Dip Pen x Inkwell” wasn’t designed to chase the latest fashion, but rather to fill us with warm memories of the past. 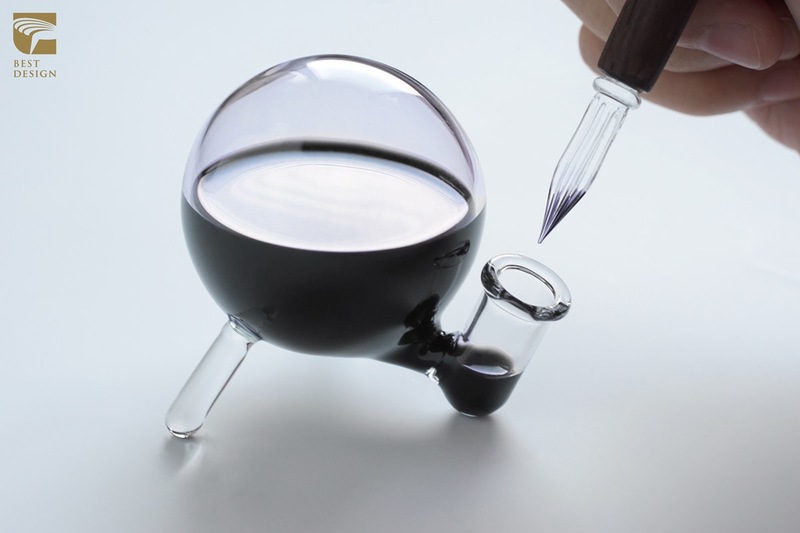 Sammy Chan, the Creative Director at Gecko Design, couldn’t find a plume pen and inkwell on the market that suited his tastes, so he simply designed one of his own. He brought his plume pen and inkwell to the 2012 Giftionary Taipei expo, where a Japanese buyer was quite taken with his design. It was at that time when he made the decision to develop the second generation and begin production. A key characteristic of the updated model was the elimination of ink bleeding — which would occur as changes in temperature and humidity influenced atmospheric pressure — by redesigning the opening of the inkwell to twist upwards when not in use, the internal pressure in released. Consumers fell in love with this refreshingly original inkwell as soon as it was released, as nothing like it previously existed on the market — but bringing it into existence was anything but easy. First, the opening needs to retain specific dimensions in order to comply with the laws of nature; however, none of the handmade pieces are exactly alike. To implement this tricky design, Chan worked closely with the glassmaker, who persistently wrestled with the glass in order to find the perfect balance. Another challenge was figuring out a way to easily dip the pen without causing the ink to overflow, which they solved by designing 8 grooves to keep the ink pooled within the well. After overcoming all these challenges, they were finally able to make this innovative design available for purchase. Unlike typical writing instruments, Chan explained, plume pens enable writers to control the width of each stroke, allowing them to create characters that are at once beautiful and individual — making the art of writing a joy in itself. Driveway gates are an essential part of life, but often overlooked or even confused with rolling gates. Established in 1979, Nai Dong Co., Ltd always strives beyond its limits with the latest technology. General Manager Zhong Jiahe shares that his team spent 8 years to develop the Clouded Leopard driveway gate for top-tier apartment complexes. The gate operator, specifically designed for driveways, uses a frequency conversion module, which not only saves power, but also enables changes in speed. In order to effectively prevent the door panels from derailing, T-shaped hitches are installed on the door panels and tracks. The driveway gate has been tested in the wind and rain laboratory and can withstand wind speeds up to 14-15 on the Beaufort scale, or 1,183.3 kgf. Additionally, it is equipped with three security devices; 1) infrared sensors installed 1.5-2.5 meters inside and outside of the doorway gate with multipoint interleaved gratings. 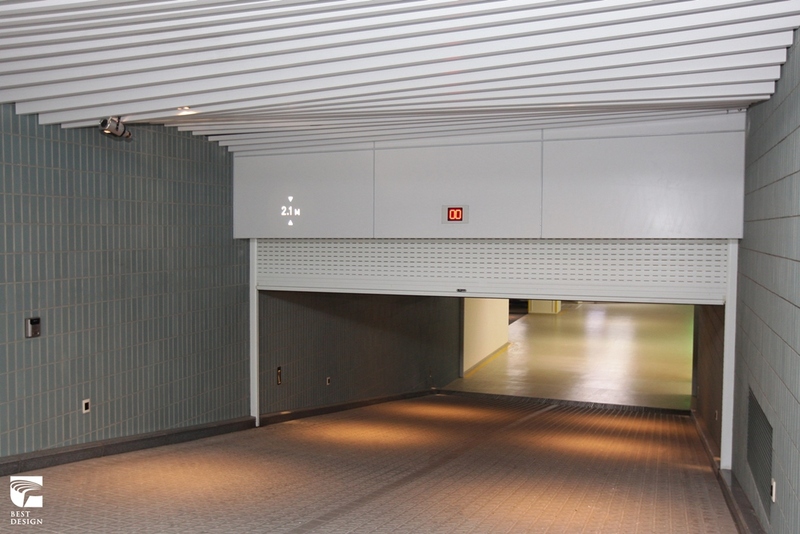 When the sensors detect a passing person or vehicle, the gate will immediately stop descending and retract upward; 2) unique touch-type anti-pressure base. If someone touches the doorway gate, it will also automatically stop descending and retract upward; 3) smart control system, which keeps track of all operation data and greatly enhances the safety. It is no wonder the design won favor with the judges. Sustainability and the Circular Economy are important topics that have captured the world’s attention. WOWMOON is one of the winners of the Golden Pin Design Award 2018 Special Annual Award — Green Design. The designer Pili Wu collaborated with the glassware manufacturer Spring Pool Glass on the project, which is a continuation of the the W Hotel’s Green Oasis Project.They developed a sustainable mechanism that reduced W Hotel champagne bottles back to their original material, and then recycled them back into cocktail glasses. Wu noted that the overarching elements of the project were defined very clearly from the beginning, which meant most discussions throughout the course of the project merely focused on pinning down minor details; for example, how the mold should open. 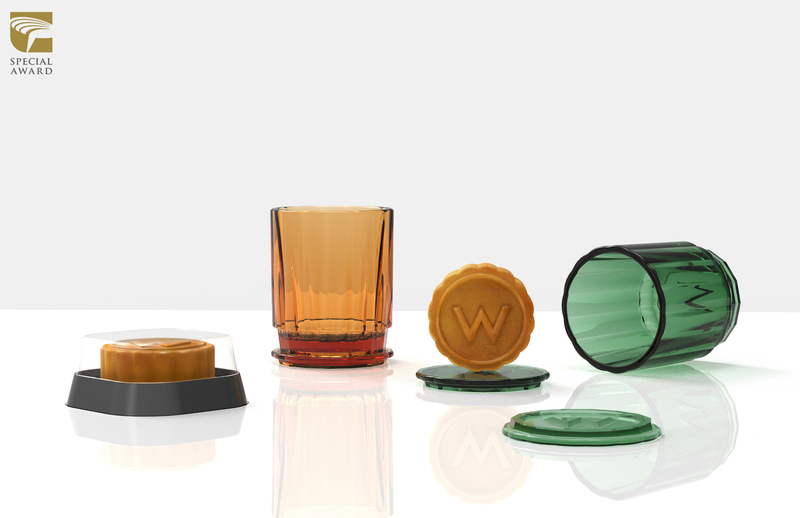 Because the design was meant to parallel the W Hotel’s mooncake promotion in September, he created mooncake-shaped cocktail glasses that were both seasonal and rich with Chinese tradition. The elongated crystal-veined pattern formed an elegant yet simple design — and may have heightened the mooncake-buying spirit, as mooncake sales were better than all years previous. Wu told us that Spring Pool Glass respected his opinion as a designer and let him lead the project, while the company provided valuable technological insight, “Creating a product depends on a combination of factors: design, manufacturing, and marketing. If any factor is missing, the project is likely to fail”. With the cooperation of Taiwan’s largest glass recycler and the promotional platform of an upscale hotel, the project certainly ended in a triple win. According to statistics, the number of Alzheimer’s patients in China has reached 10 million and is the highest in the world. However, Chinese pharmaceutical companies are not active in the development of new drugs for treating the disease, and the public do not pay much attention to this issue. 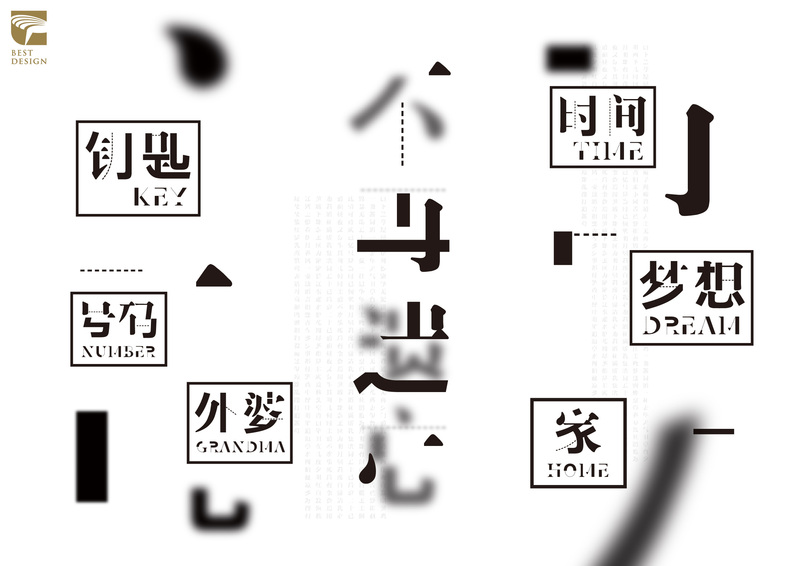 In order to raise awareness, Mcgarrybowen(Shanghai) Advertising Company and Hanyi Font worked together to create the “Hanyi Alzheimer Font” that symbolizes memory loss through a fragmented typeface. It is free for use by public organizations. Zheng Naiyu says that the biggest challenge of the project was that they had only 1.5 months to finish it. Fortunately, Hanyi Font has a professional font database, which allowed them to transform existing fonts into something unique rather than creating a brand new font from scratch. With 15 designers hard at work, nearly 7,000 characters and symbols were developed within a short time. Another challenge was to reduce the number of strokes in the character without diminishing its legibility. Hanyi Font made use of its internal proofreading system to rigorously modify the characters that have similarities with other characters. Hanyi Alzheimer Font received an enthusiastic response after it was released last year on World Alzheimer’s Day, September 21. Zheng Naiyu adds that there were over 5 million related discussion threads on Weibo, over 170,000 visits on the H5 interactive page created by Mcgarrybowen(Shanghai) Advertising Company, and around 100 participating enterprises and celebrities, including Nicholas Tse who successfully caught the attention of the public. One of the Golden Pin Concept Design Award 2018 Best Design winners is RobloX, created by Cheng-Han Yu, Hung-Da Chien, Yen-Fen Huang, and Anna Uborevich-Borovskaya when they studied together at Bartlett School of Architecture in London. Team Leader Cheng-Han Yu says the School’s Design Computation Lab deems that architecture has never truly been digitalized. While digital tools give us the ability to create a large number of complex building structures, modes of construction and production are still based on manual work. RobloX Project was inspired by the theory of “digital material”, which originated from MIT’s Center for Bits and Atoms in 2014, relating to the complete digitalization of construction, including discrete design, and robotic assembly. This concept design comes highly commended by the judges who descryibed it as “bold, shocking, and allowing for unlimited imagination.” Any plan for mass production? Cheng-Han Yu says it is not easy because of laws and regulations. However, interior design, furniture, or exhibition usage could be a good starting point. Digital construction has been developing for around 20 years, but Cheng-Han Yu and his team members are one of the pioneers in utilizing UHPC to achieve construction breakthroughs and create new building blocks. There is a bright future awaiting them. Under this research context, they utilized UHPC (Ultra-high-performance-concrete) produced by LafargeHolcim to develop a standardized UHPC precast system. Compared to traditional approaches, this system depends upon strong and lightweight building blocks with high structural adaptability. In addition, the team developed unique joint parts to be assembled into extremely complex structures through simple fixed contact points. Lastly, automated robotic arms were introduced to complete the assembly of large-scale buildings.